HMD Global has today launched the Nokia 3.1 Plus smartphone in India. The smartphone is successor to Nokia 3.1 with Android Go, which came to India in July this year. Like other Nokia smartphones we have seen this year, Nokia 3.1 Plus comes under Google’s Android One program – which promises timely Android updates for the smartphone from the date of launch. It will also receive security patches for the next three years. Here’s a look at the price, availability and specification details of Nokia 3.1 Plus. Nokia 3.1 Plus is available in only variant in India that sports 3GB RAM and 32GB internal storage and is priced at Rs 11,499. The smartphone will be available starting October 19. It is worth nothing that globally, another variant of the smartphone with 2GB RAM and 16GB onboard storage is also available. The newly launched Nokia smartphone from HMD Global comes with a 6-inch HD+ IPS display that has an aspect ratio of 18:9. Defying the current trend, the newly launched smartphone comes without a notch on its screen. Powered by MediaTek HelioP22 processor, Nokia 3.1 Plus comes with 3GB RAM and 32GB onboard storage. It can also hold a microSD card of up to 400GB. The smartphone runs Android Oreo out of the box and as we mentioned earlier, is a part of Google’s Android One program. For imaging duties, Nokia 3.1 Plus mobile comes with a dual rear camera setup with 13MP and 5MP sensors. There is also an 8MP front facing snapper with LED flash for selfies and video calls. 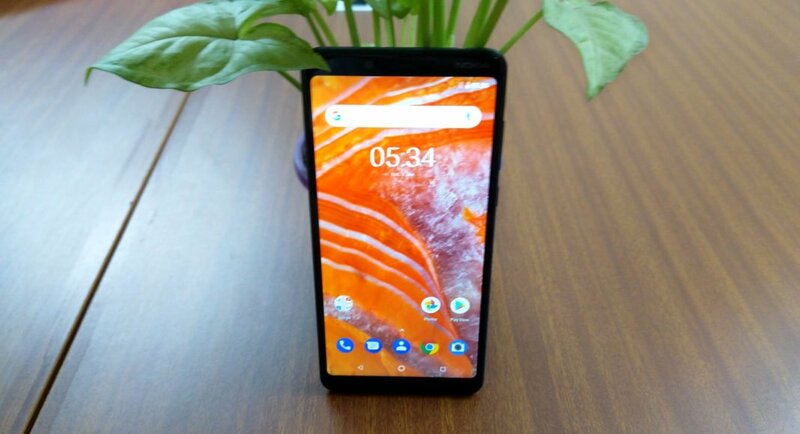 Nokia 3.1 Plus houses a 3500mAh non removable battery and the sensors on the smartphone include Ambient light sensor, proximity sensor, accelerometer, Ecompass, gyroscope and a fingerprint sensor which is placed on its back panel. For connectivity, the dual SIM smartphone supports 4G, Wi-Fi, 802.11 b/g/n,BT 4.1, GPS/AGPS, GLONASS, BDS, and Galileo. The beginning of this month also saw the global launch of Nokia 7.1 smartphone that comes with Zeiss branded camera lenses and sports PureDisplay screen technology which ensures a more immersive viewing experience and enhances contrast with HDR10 support. The Nokia 7.1 smartphone was unveiled at an event in London and the smartphone is yet to launch in India.